What Kinds of Psychotherapists Are There? There are countless forms of mental health professionals, with new degrees, professional licenses and titles cropping up every day. A psychotherapist is the umbrella term that any mental health professional who provides what is known as "talk therapy" falls under. 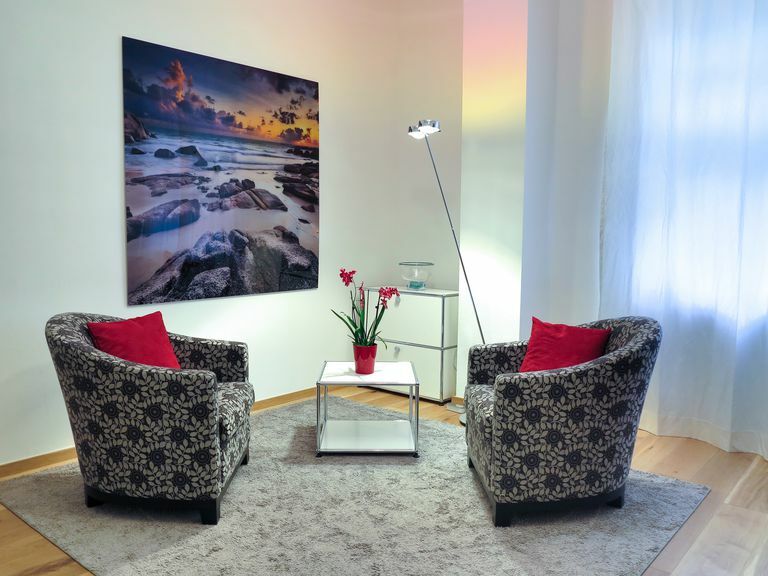 Psychotherapy is a process in which a client, couple or family meets with a mental health professional to discuss mental or emotional problems. There are just as many forms of psychotherapy as there are types of psychotherapists, if not more. Cognitive Behavioral Therapy, Psychodynamic Psychotherapy, Emotionally Focused Therapy, Solution Focused Therapy and Narrative Therapy are all forms of psychotherapy. To become a psychotherapist, one generally needs a graduate degree of some kind as well as a professional license to practice psychotherapy in the United States. Many states have professional boards in which it is possible to verify someone's license. Some of the older mental health professions such as psychology and social work are recognized across states in the U.S., though have state-specific licenses. There are some other professions that are unique to individual states. For example, New York has a profession called the "Licensed Mental Health Counselor," (LMHC), whereas Connecticut recognizes a similar professional known as the "Licensed Professional Counselor," (LPC). What Types of Psychotherapists Exist? There are enough different types of mental health professionals out there to make anyone dizzy. The following list is by no means a comprehensive and includes mental health professionals that can provide psychotherapy. Psychiatrist - A psychiatrist is a Medical Doctor who specialized in psychiatry. A psychiatrist can prescribe medication. Psychiatrists are qualified to provide psychotherapy but often only offer psychiatric evaluations to determine someone's diagnosis and provide follow-up medication management appointments that are briefer than traditional psychotherapy. Psychologist - A psychologist has earned a Doctor of Philosophy (Ph.D.) in Psychology or a Doctor of Psychology (Psy.D.) and holds a license to practice psychology. Not all psychologists practice psychotherapy but many do. Clinical Social Worker - A clinical social worker has earned a Doctorate of Social Work (DSW) or Master's of Social Work (MSW) and holds a license to practice clinical social work, which includes psychotherapy. Marriage and Family Therapist - A Marriage and Family Therapist (MFT) has earned a Master's Degree in Marriage and Family Therapy, as well as a license to practice marriage and family therapy in his or her state. A Licensed Marriage and Family Therapist (LMFT) most often provide psychotherapy to a family or couple. Professional Counselor - Depending on the state, there are different types of professional counselors. Generally, a professional counselor requires a Master's Degree in some form of counseling as well as a state license to professionally practice counseling or psychotherapy. Pastoral Counselor - A pastoral counselor requires a Master's Degree. Some states offer a license to practice pastoral counseling but others do not. Pastoral counselors also provide psychotherapy. Numerous other titles for psychotherapists exist as well, in addition to the above sampling of professions. Psychotherapy has been life-saving for some. If you are considering psychotherapy, make an informed decision about the person you decide to see. It is less important what your psychotherapist's degree is, and more important that you feel comfortable with him or her.